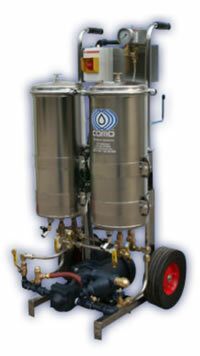 Product image of our Case Studies - Quench Oil Filtration. PROBLEM: A machine tool manufacturer with an average weekly metal pass through of 30,000 lbs per week had been having trouble with oil contamination. This oil contamination resulted in non-uniform hardness, cracking and stained parts. The oil had to be disposed of frequently to improve the quality of the parts. SOLUTION: Since they began filtering their 1600 gallons of Marquench oil with a Como filtrations system like the one pictured, the quality has improved dramatically. 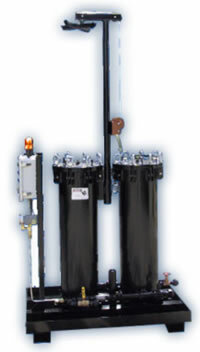 The oil lasts more than 2 years with filter changes only every 4-5 months. The annual filter cost per gallon is only $0.46.